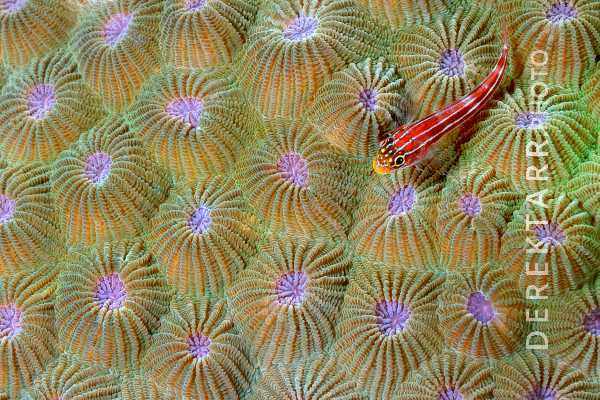 The Solomon Islands are one of those places in the World where you’ll still find healthy coral. On one of our dives we were excited to spot a huge, maybe 15’ patch of honeycomb coral (Diploastrea heliopora). I swam in close to it with my dive light to admire the patterns in the coral, and spotted a tiny little red fish perched on the coral - the Tropical Striped Triplefin (Helcogramma striatum) obviously made a handsome subject. This photograph has won several awards and hung in exhibits around California.